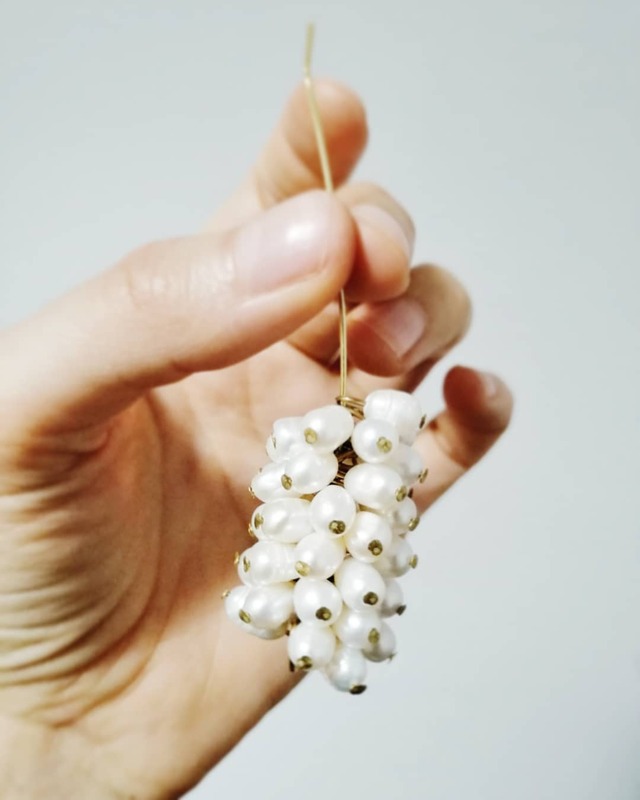 Are you still associating pearls with being “old fashioned”? Think again! Coco Chanel once said, ” A woman needs ropes and ropes of pearls“, and we couldn’t agree more. 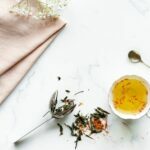 Pearls have been a jewelry staple for centuries, and beloved by so many famous ladies, like Cleopatra, Princess Diana, Jacqueline Kennedy Onassis, Audrey Hepburn and many more. 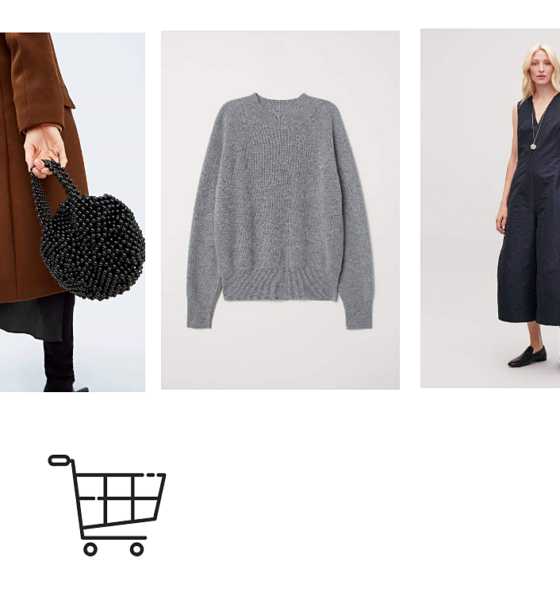 Today, pearls are more versatile than ever in the hands of contemporary designers ( and far from that classic round shape, that makes you fell blegh!). They look artistic, fun and stylish. Best of all, there are tons of styles – pearl earrings, necklaces, rings and bracelets…. that will make you go ‘WOW’. And if you mix them with seashells, you will get pure perfection! We rounded up the best jewelry brands with the most beautiful and unique shell jewelry that will instantly give you that holiday feeling and evoke beautiful memories. 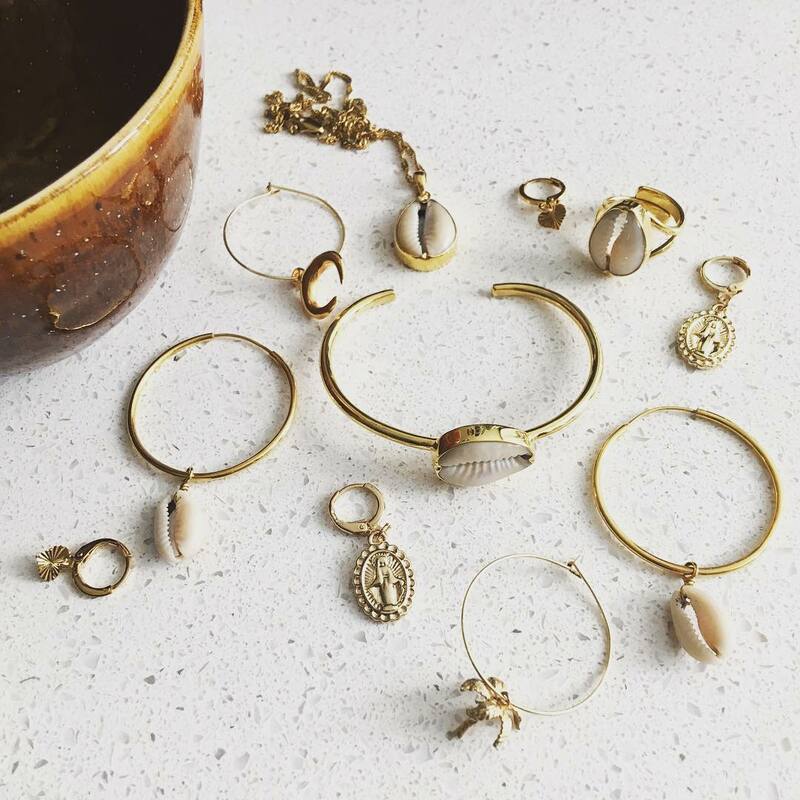 Founded by jewelry-enthusiast Sinead Flood, July Child jewelry is the perfect way to update your style and express your personality. It is one of the most impressive collections of effortlessly cool and beautiful jewelry we have ever seen. 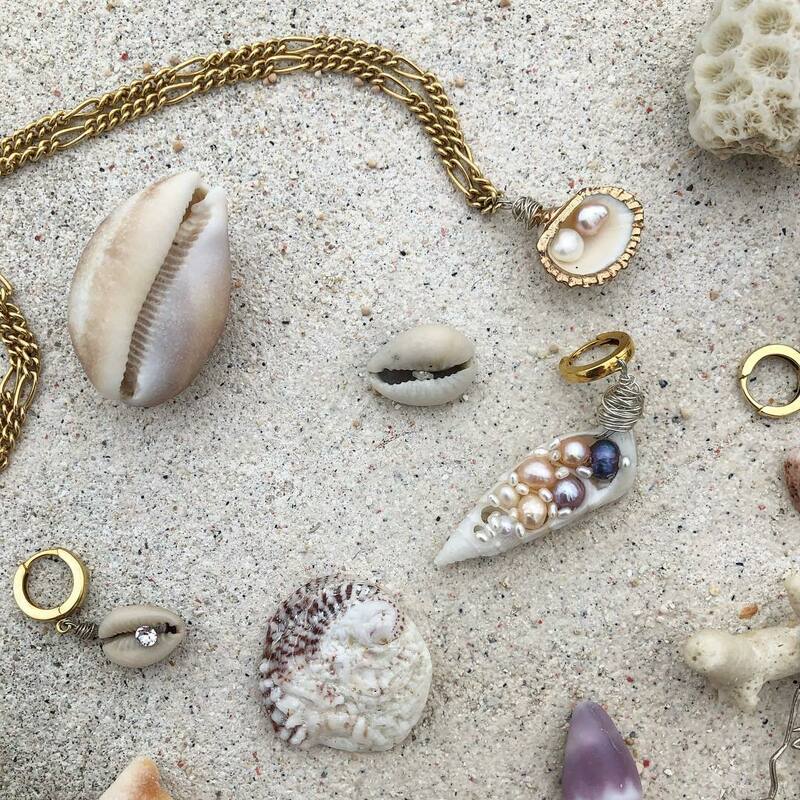 Whether you’re looking for a shell necklace to wear all summer to the beach or the most unique pearl earrings, they have the perfect pieces for you. 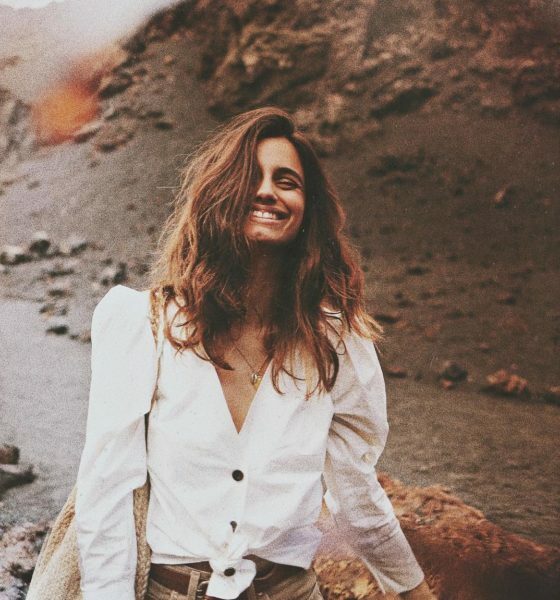 Founded by jewelry designer Cari Rou and inspired by travel, nature, mythology and sea, this jewelry is a go-to source for boho-chic vibes and versatile enough to wear day and night and everything in between. 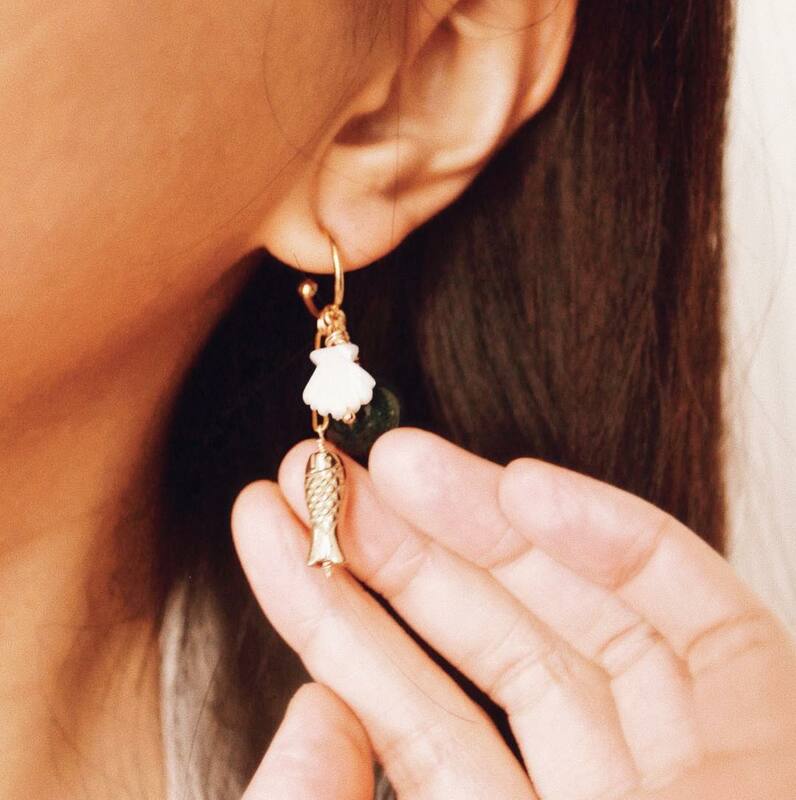 Founded by two friends, this Amsterdam based brand have the quirkiest designs that will bring your style to life. 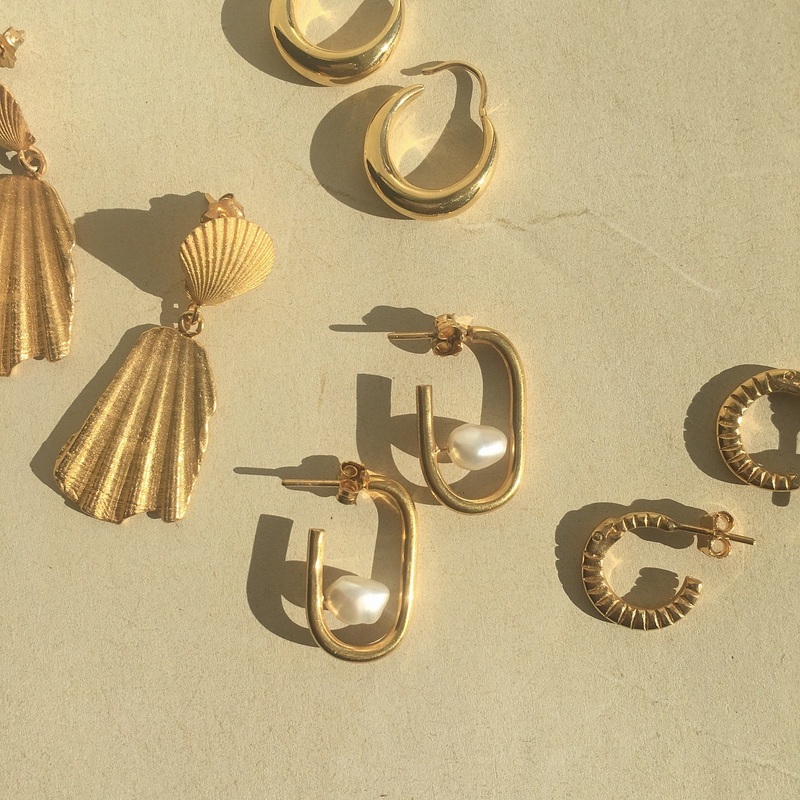 On their website, you will see a lot of shells, striking lion earrings and 18k gold plated pieces. If that doesn’t get you to buy it, then I don’t know what will…. Designed and handmade by Joana Cavaleiro in her studio in the heart of Lisabon, this jewelry is classic and timeless for effortless everyday wear. Using the traditional method of wax carving, Joana sculpts her pieces in wax before casting them in silver and finishing each piece by hand. Founded in Paris in 2016 by two young designers, this jewelry will leave you speechless. Amayalili jewelry collection is inspired by art and literature, and made by treasures from nature and unique antiques from flea markets as well as metalwork crafting.